Students across the globe are increasingly recognising the value of gaining international experience. A growing number of them are jumping at the opportunity to study overseas due to the exciting prospect of being able to travel to new countries, explore new cultures and increase their chances of landing a prestigious job within an international company. In the UK alone, it was reported that nearly 15,600 students spent up to a year in another European country during the 2014 academic year, which is up 155% since 2007 . Figures released by Generation UK China also revealed that the number of students travelling to Asia to study or work has grown from around 6,500 in 2013 to nearly 7,400 last year. Exploring this growing trend further, we interviewed more than 1,000 international students who are currently researching higher education options through the International Student Admissions Service (ISAS). We wanted to know who helps them make the final decision about which university to attend. The results bring to light the student’s lack of reliance on faculty members when it comes to studying overseas. This, they say, is due to a lack of substantial support and information being provided by teachers and careers advisors. However, aware of financial implications and confusing processes, many students understandably turn to parents to help make sense of the studying abroad enrolment process. With this in mind, it is important for universities looking to increase their international student prospect pool to target parents separately, using an entirely different marketing strategy. Think of the parent as a customer (as you would with a student). Universities need to first understand the best and most comfortable communication channel for parents to ease them through the enrolment funnel. 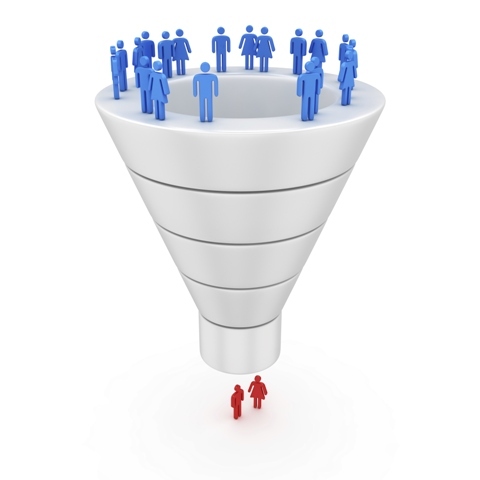 It’s rarely possible to move someone through each stage of the enrolment funnel in one big swoop. So how do you make that initial contact? For starters, don’t bother going straight in with ‘the sell’. This first stage is about establishing a relationship with the parent and gently introducing your international university as an establishment that meets all the needs of their child. However, always keep in mind that a parent’s priorities might differ from those of a student. Information pages: Providing informative online content will not only equip parents with the knowledge to help them guide their child through the decision-making process, it will also better position your establishment as the ‘go to’ source whenever the parent has a question that needs answering. Email marketing: Email is the number one preference for parents who want to be contacted by universities, according to a report published by Royall.com. While it may be tricky to get hold of email addresses for parents with children who are about to head off to university, it’s possible to reach out to careers advisors within schools who can pass this information on to relevant parents and students. In this stage of the funnel, it is vital that international education establishments build trust with the parent. For further best practice, international universities and colleges should also ensure that contact details are readily available, enquiries are responded to quickly (within 24 hours) and all further information is provided concisely and accurately. Parent specific pages: FAQ pages are quick to put together and a cost-effective way of answering the concerns of parents immediately. Many universities have FAQ pages already, but most have been put together to answer student FAQS and ignore questions that are posed by parents. Microsites: Simplifying your university or college website into a microsite that is solely focused on engaging with parents is also beneficial. An alternative to a microsite is to build a separate tab on your university website that is headed for international parents. However, not only does a microsite enable parents to find your website quicker and essentially improve your SEO ranking due to the advantage of having a focused path and keyword-rich content, it is an another method of communicating the key messages of your university brand. For example, case studies with video interviews can easily be implemented. Microsites are more affordable than developing websites because the content is more concise, easier to manage and much quicker to build. Don’t undervalue social media as a tool to keep parents engaged with your university. It would be patronising to say that they are new to the social media scene. These days, 75% of internet-using parents use Facebook and nearly 50% are Facebook friends with their children!